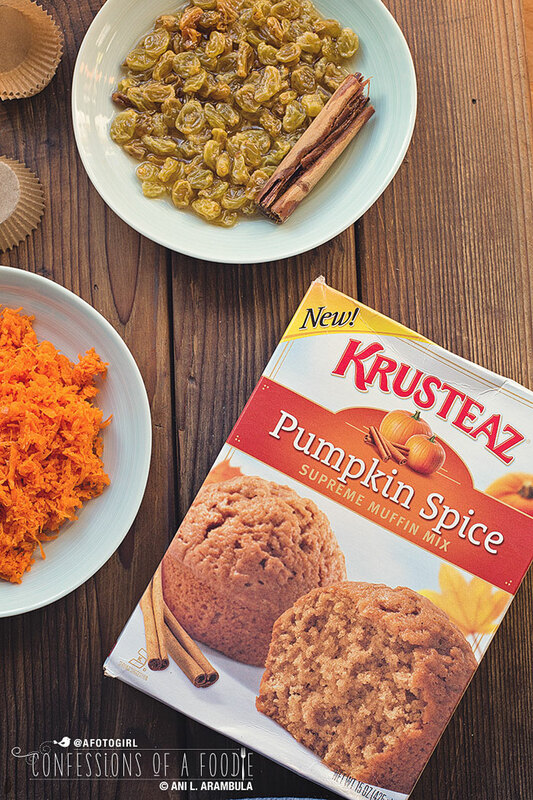 Krusteaz Pumpkin Spice mixes take the stress out of holiday entertaining. Use them as is or embellish like I did here with carrots and rum soaked raisins. 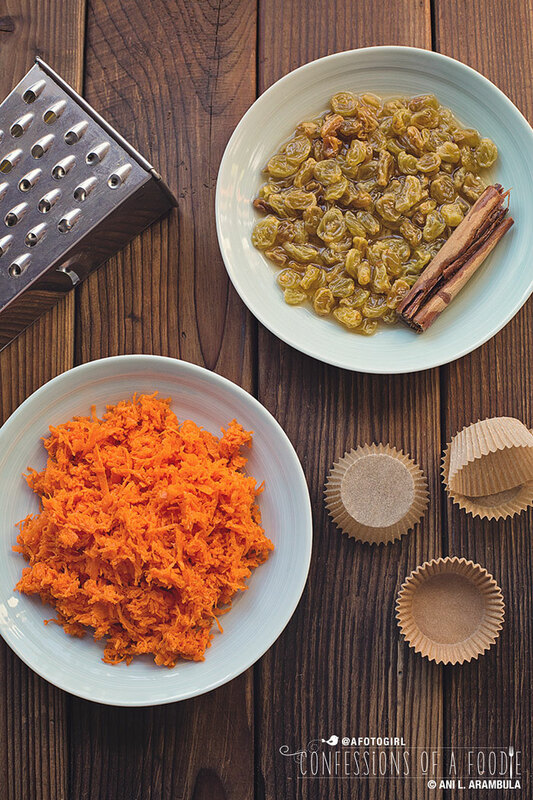 Keep Krusteaz Pumpkin Spice mixes on hand to take the stress out of holiday entertaining. Use them as is or embellish like I did here with carrots and rum soaked raisins. I'm faking fall weather here at 'Confessions' today. Sunny San Diego is no where near fall weather yet and we're rounding up on the end of October already. I come home from work and can't hardly wait to strip out of my work clothes and into cutoff shorts and a thin cotton tank, my summer days at home default outfit. As soon as September hit, pumpkin everything started showing up on Pinterest, Twitter, Instagram and blog posts. I. Just. Could. Not. Do. It. San Diego summer's often extend well into October and often in to the first few weeks of November. With temps in the 80s, turning on the oven to bake means heating up this over 100 year old house where all the heat rises to the second floor, aka, my bedroom, and stays trapped there for hours. So this week, I got up two hours earlier than normal and baked these little guys before the heat set in. And since I'd be away at work all day anyway, it made no difference that my room would become a toaster for the majority of the day. Now, I usually shy away from pre-packaged foods except when it comes to baking mixes. I almost always have some on hand for last minute baking when I have someone drop by or get a last minute invite to a friends house, or let's face it, have a late night need for a little somethin' somethin'. However, I need the mixes in my pantry to be good quality, and especially around the holidays when time is even more precious, they need to come together quickly and easily. 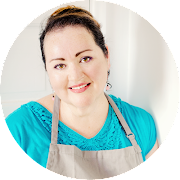 While I was at the International Food Bloggers conference in September, I had a chance to meet the folks at Krusteaz and I spoke about my love for many of the products in their line. Then a few weeks ago, I was contacted by one of the gals with the company who works with bloggers and was asked if I'd be interested in trying some of their pumpkin spice flavored mixes. I couldn't pass it up. What I love about boxed mixes is the fact that they take the guess work out of the equation and yeah, sure, you could play it straight and make the mix as directed, especially with these Krusteaz mixes, you really can't go wrong. But I'm a tinker and I find these mixes the perfect canvas to get creative and put my twist on them. Take for instance this box of Pumpkin Spice Supreme Muffin Mix. I thought about all the things that I associate with the fall season and with holiday food (wishfully hoping for cooler weather here soon!). Carrots and pumpkin spice make a classic holiday pairing and to add just a bit more festive flair, I soaked some golden California raisins in cinnamon-spiced hot rum, drained them and tossed them along with shredded carrots into the batter – which by the way is a one bowl, wooden spoon affair. No need to pull out mixers or multiple bowls for wet and dry ingredients. I made this box of warm goodness into mini-muffins. That makes them guilt-free, right? Oh and, hey! 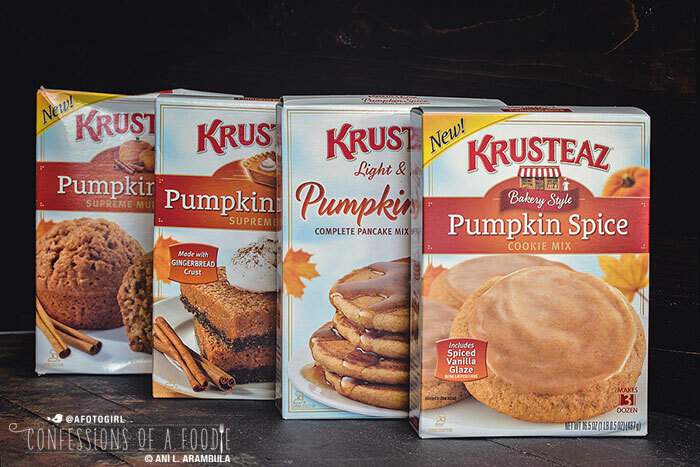 Krusteaz wants you to have a chance to try some of their new Pumpkin Spice mixes, too. If you live in the U.S., you can enter to win one box of their Light & Fluffy Pumpkin Spice Complete Pancake Mix (try using it as a batter for "corn" dogs!) and one box of their Bakery Style Pumpkin Spice Cookie Mix (try turning these into an oatmeal raisin cookie. Yum!). You must use the Rafflecopter widget below to enter. Entries received until November 4, 2015 at 11:59 p.m. Winner will be chosen at random and must respond within 48 hours to accept prize. If response isn't received in that time frame, a different winner will be chosen. Prize will be mailed out directly from Krusteaz to the winner. You must live in the United States to participate. Good luck! 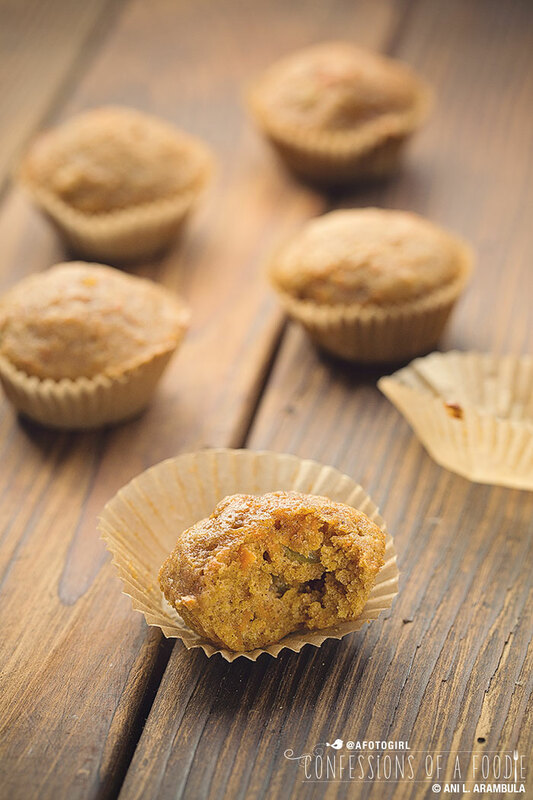 Keep reading after the widget for my recipe for these warm, holiday spiced mini-muffins. Pour rum into a small saucepan and add cinnamon stick; bring to a boil. Add raisins and let steep until ready to use, or at least 10 minutes. Preheat oven to 400 degrees Fahrenheit. 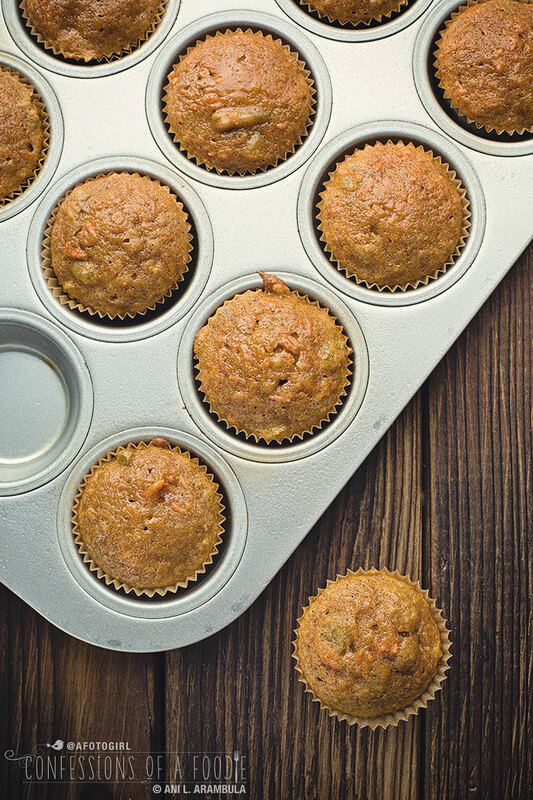 Place liners in mini muffin tins and give them a light coat of non-stick baking spray. Set aside. Stir together the muffin mix, water, oil, and egg in a large bowl until combined. Drain the raisins and add to the mix. Toss in the carrots and stir to distribute. 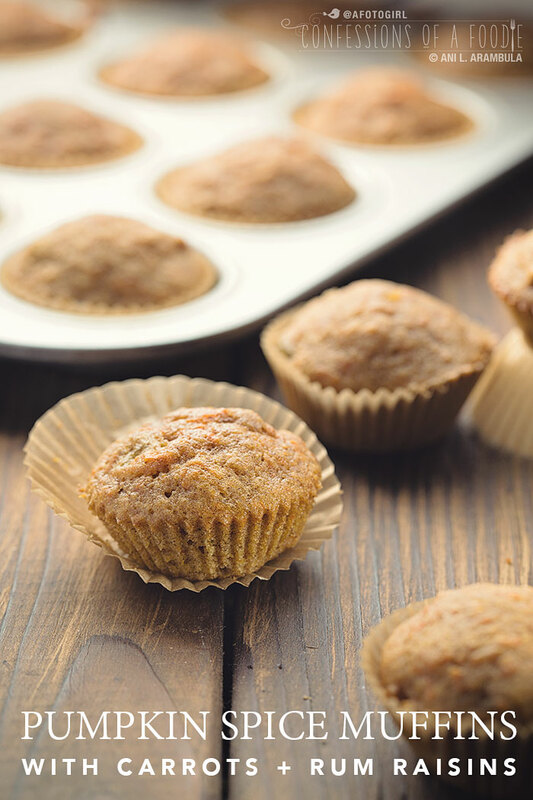 Drop a generous rounded tablespoon of batter into muffin tins for a nice high dome on the finished muffin (this should fill the muffin liner to the top). Bake for 11-12 minutes or until the tops spring back when touched or an inserted toothpick comes out with just a few tender crumbs. 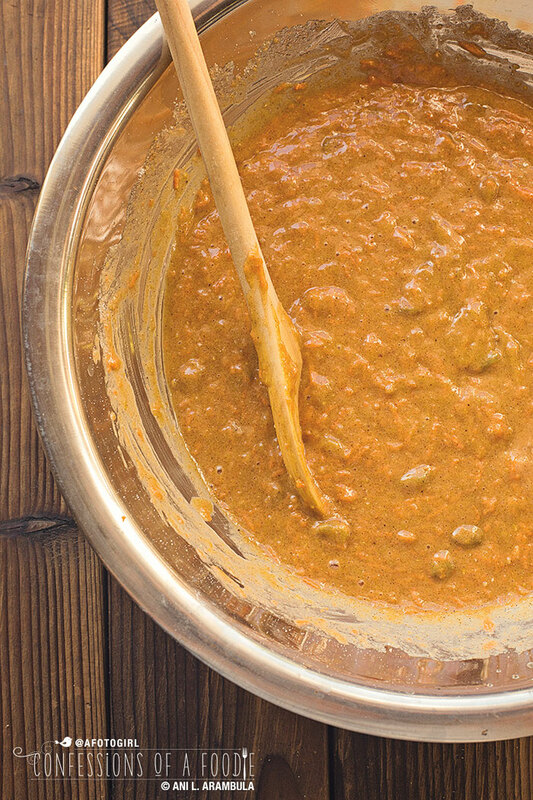 Allow to cool for 10 minutes in tins before enjoying and to cool completely before storing in an airtight container. Yes! I agree with you, especially on the spiced cider. Yum! I know EXACTLY what you mean, I live in the San Diego area too, and I refused to eat pumpkin at all in September. I was still eating watermelon like a crazy person all month long! I have to say though, the nights have started to feel cooler and more autumn-ish... which is AWESOME because my house is no longer like a sauna 24/7! Anything pumpkin or with cinnamon reminds me of the holidays. I like cranberry and pumpkin flavors. Tons of flavors! Pumpkin, Nutmeg, Apple, Cranberry, Orange. You name it, I love it! Cranberry and pumpkin together are my favorite. I can homemade cranberry sauce every year and use a dollop as a filling inside of pumpkin muffins. Yum! Pumpkin and cranberry together, every year I can my own cranberry sauce and use a dollop as a filling in pumpkin muffins. Yum!